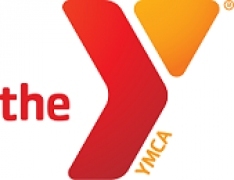 YMCA Camp Collins is a resident/overnight camp located within Oxbow Park in Gresham, Oregon. This historic camp has been providing premier camping experiences, outstanding service and ample outdoor exploration for all ages since 1926. We are in need of a reliable and dedicated individual to join our grounds maintenance team. Under the direction of the Group Services Director, the Maintenance Staff/Custodian implements assigned duties to the cleaning and upkeep of cabins, lodges, meeting rooms, restrooms, and shower houses. The Maintenance Staff/Custodian will generally work between 9:00am-500:pm on assigned work days. There will be one 15 minute morning break, one hour lunch, and one 15 minute afternoon break during eight hour work days. The Maintenance/Custodian Staff may be asked to work weekends as assigned. This position does not offer Room and Board, the employee must have reliable transportation to and from work. Camp Collins is located at 3001 SE Oxbow Parkway, Gresham, OR 97080. •	Checks interior and exterior of buildings for conditions that need attention and takes appropriate action to correct problems, such as removing graffiti, removing cobwebs, changing light bulbs, repairing window screens, sweeping, pressure washing entrance ways, submitting maintenance requests, etc. •	Performs custodial tasks inside lodging spaces, meetings spaces, shower facilities, and restrooms to ensure clean facilities for guests and campers, including use of cleaning chemicals, sweeping, mopping, vacuuming, etc. •	Assists with maintaining the grounds, including picking up limbs and branches, raking pathways, picking up litter, gathering trash and recycling, etc. •	Assist in maintaining a safe, clean, secure, and generally well maintained maintenance shop. •	Operates a variety of standard cleaning equipment used in custodial tasks, including vacuum cleaners, brooms, mops, floor scrubber. Keeps tools properly stored and maintained. •	Operates a variety of maintenance equipment including a leaf blower, golf cart, hand tools, power tools, pressure washer, etc. •	Communicate with Group Services Director to report work progress. •	Minimum of 4-day work week, up to 29 hours per week, scheduled with supervisor. •	This position may have some weekend responsibilities. •	Ability to read and follow written and oral instructions. •	Ability to perform manual labor, including bending, stooping, reaching, climbing on ladders and lifting heavy objects. •	Ability to work both indoors and outdoors with hazards associated with the use of hand tools and power tools. •	Ability to establish and maintain effective working relationships with other employees, volunteers and the general public. •	Ability to lift loads up to 50lbs. •	High School Diploma, or G.E.D. plus documented knowledge and/or experience in building and grounds maintenance. •	Valid OR State driver’s license with driving record free from serious or frequent violations. •	Current First Aid & CPR or able to obtain within 30 days of employment. •	Demonstrated experience in custodial or housekeeping tasks. •	Demonstrated experience working with grounds equipment and power tools. •	Knowledgeable of basic use of cleaning supplies and equipment.